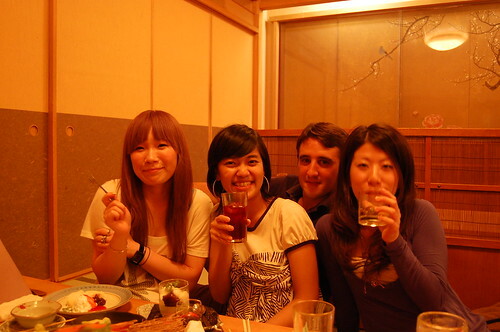 This was a lightning trip we made to Tokyo a few weeks ago (yes, I know I keep without updating my blog, sorry…). 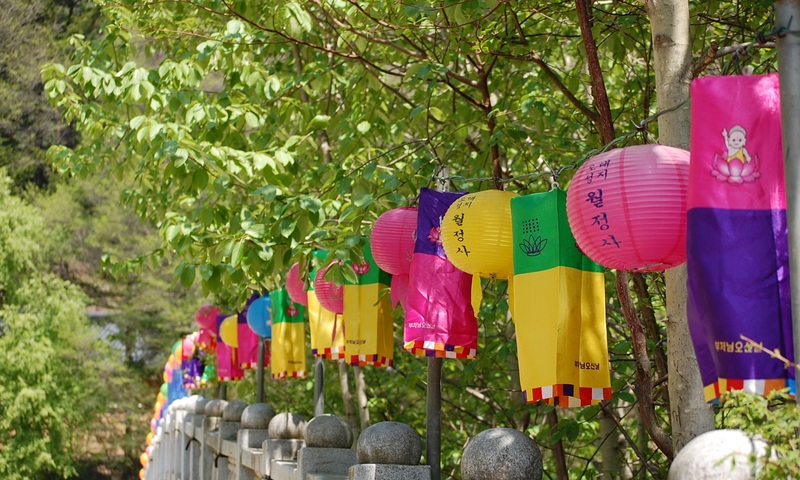 For such a short time (we arrived on a friday night and came back to Seoul on sunday afternoon) we saw quite a bunch of places (Harajuku, Shibuya, Roppongi, Akihabara, Asakusa, etc.). 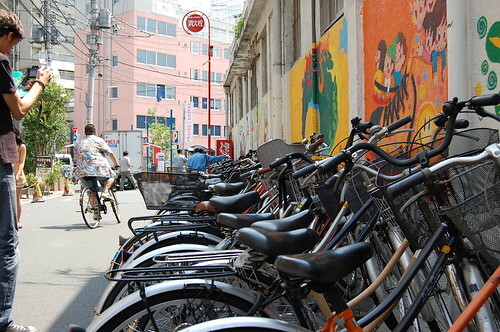 The big amount of bicycles you can see in Tokyo amazes me. 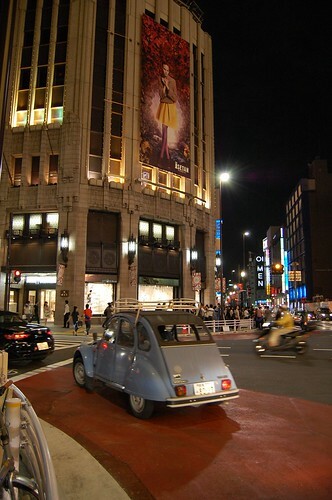 Although it’s one of the most densely populated cities in the world, Tokyo has so many streets for pedestrians and many times reminds me of any European city. 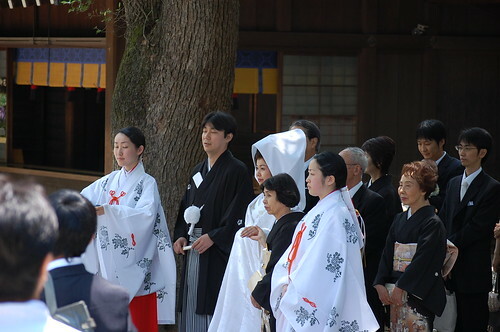 We could see a traditional Shinto wedding at Meiji Shrine, very near Harajuku Station. 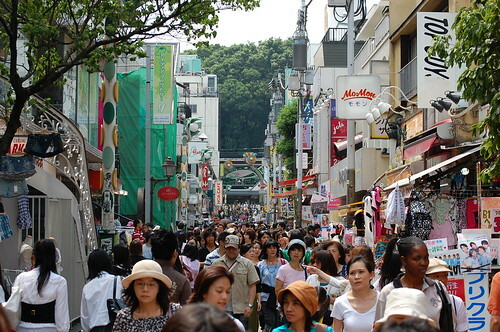 Takeshita Street, one of the most mopular streets in Tokyo, where you can also see many cosplayers. 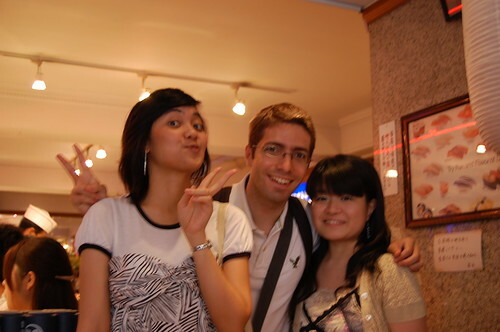 With Thanita and Chiho at a sushi-restaurant. 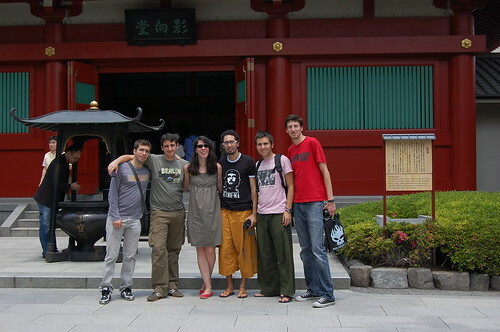 At Asakusa Temple, from left to right, myself, Itzíar, Ciro, Alex, and Jairo. 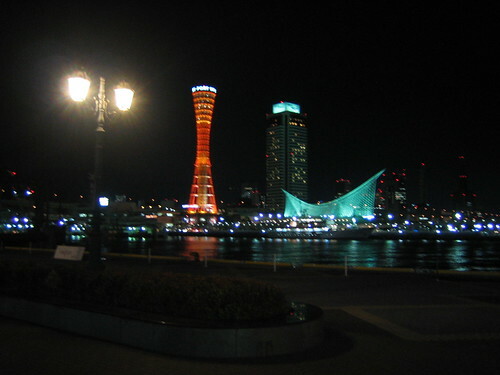 I arrived at Kansai Airport from Seoul, where my friend Azusa picked me up and took me to Kobe. 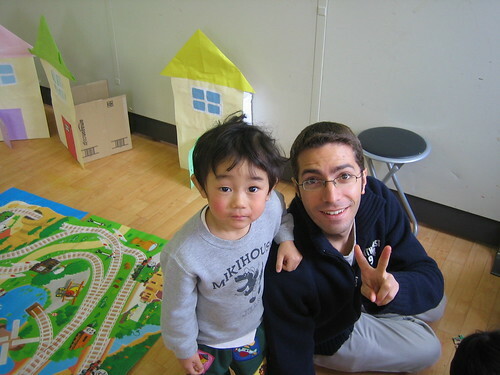 I spent three days at Azusa’s place in Amagasaki, a city near Osaka. 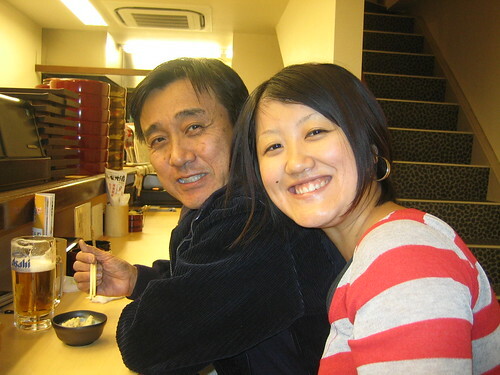 Having dinner with Azusa, her step-dad and her mom. 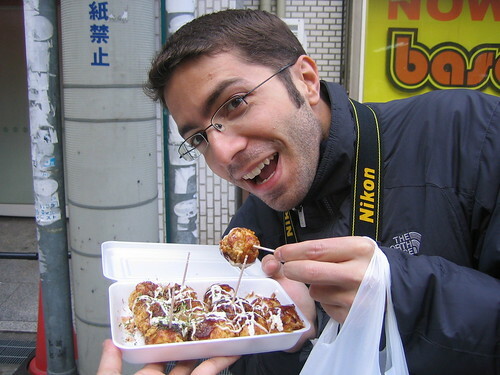 Eating Takoyaki, typical from Osaka. 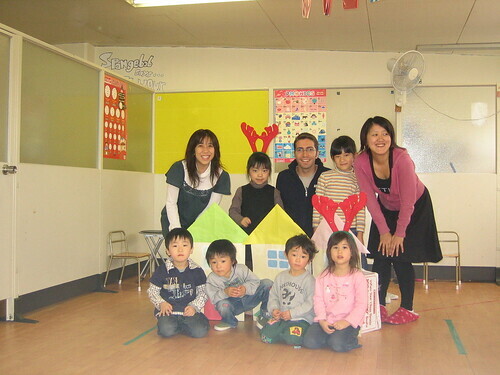 With Azusa, her boss, and the children. 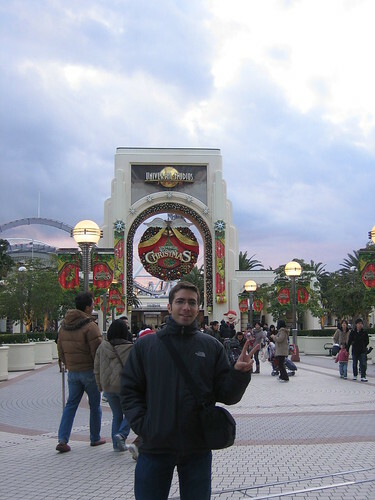 We also went to Universal Studios Japan, which is the only Universal Studios in Asia and is in Osaka. As Christmas were close, it was quite crowded and we had to wait like one hour line to get into any of the attractions, but it was still good. 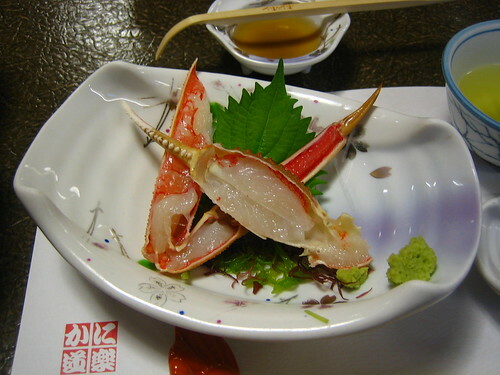 After that I went to Kyoto for three days. 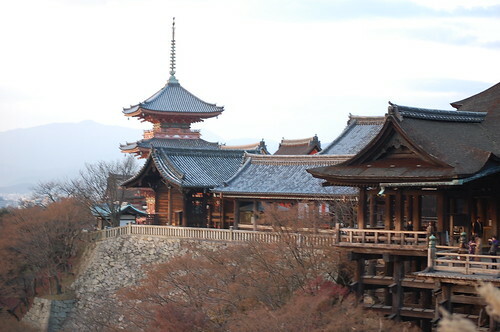 Kyoto was the capital of Japan for more than one thousand years, so it’s full of monuments, temples, shrines, etc. 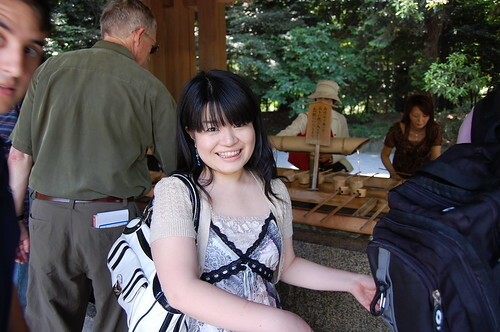 The first day I visited Kiyomizu-dera with Azusa’s mom. The views were just unbelievable. 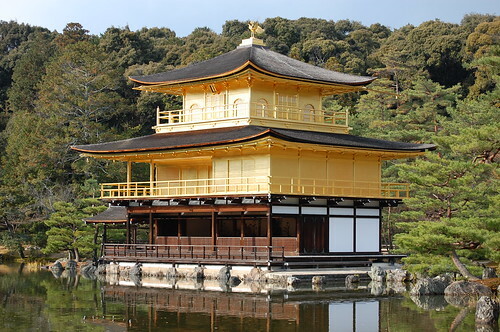 The second day I went to see another temple (Kinkaku-ji), and the third day I visited the imperial palace, had lunch with Yuko, and left for Tokyo in the Shinkansen. 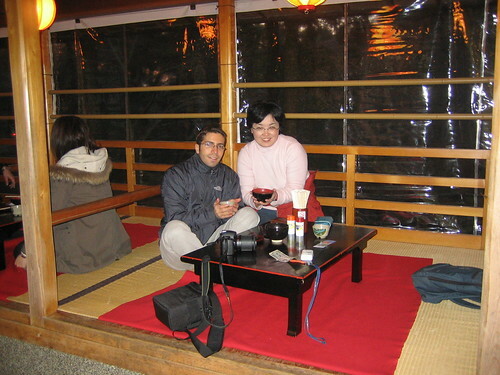 With Azusa’s mom at Kiyomizu-dera. 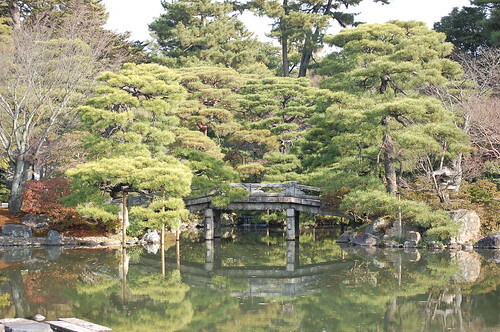 Lake at the Imperial Palace. In Tokyo, Thanita and Satomi were waiting for me at Shinagawa station. That place is huge! It took us like one hour to find each other at the station. 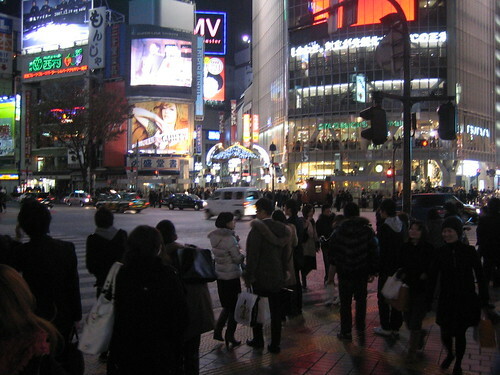 What surprised me the most of Tokyo is that there is people everywhere. I mean, Seoul is already a crowded city, but Tokyo is just crazy. The subway works pretty well, although I found it quite complicated. There are not many indications in English, and the machines to get the tickets are not very easy to use (more than once I got a train ticket when I wanted a subway ticket and vice-versa). 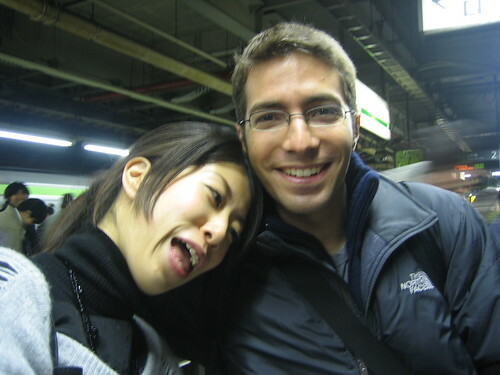 With Satomi at the station. 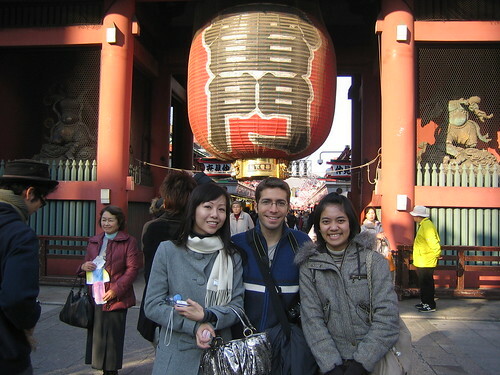 At Asakusa with Thanita and her friend Vivian. 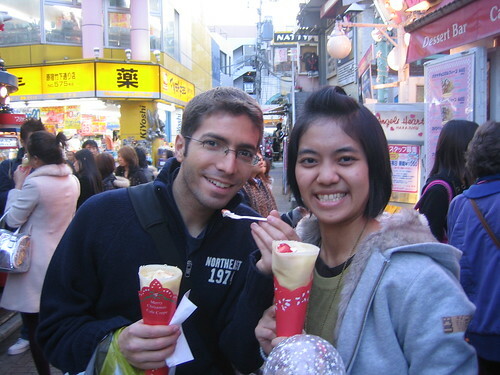 Eating crepes with Thanita at Harajuku. 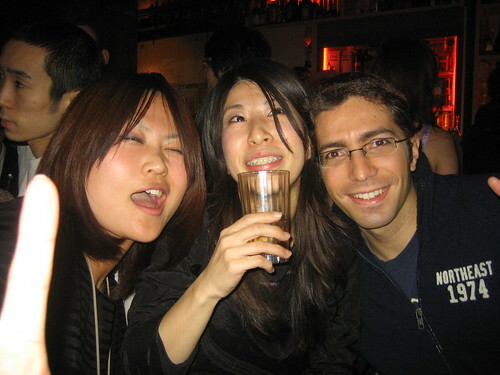 With Satomi and her friend at the club.